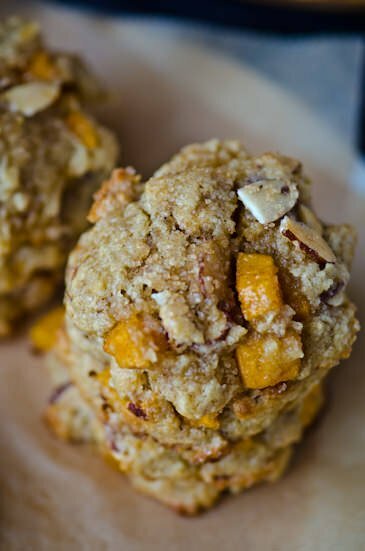 When you are craving something a little sweet and want a cookie you can throw together in a a matter of minutes this is a great one to turn to. Since they are made with almond flour they are best eaten the day they are made as they will get softer the longer they sit. 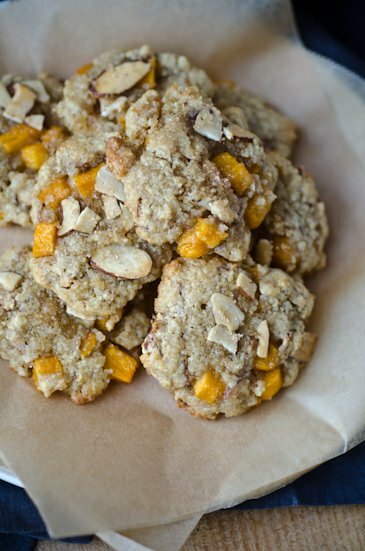 The almonds compliment the honey tones of the fruit and the brown butter adds a delicious richness to such a simple cookie. They are fairly delicate so make sure that you let them cool slightly before removing them from the cookie sheet. They make the perfect afternoon snack with a nice cup of tea. In a small skillet heat the butter over medium heat and cook for 5-8 minutes until the butter starts to brown and smells nutty, then set aside to cool. 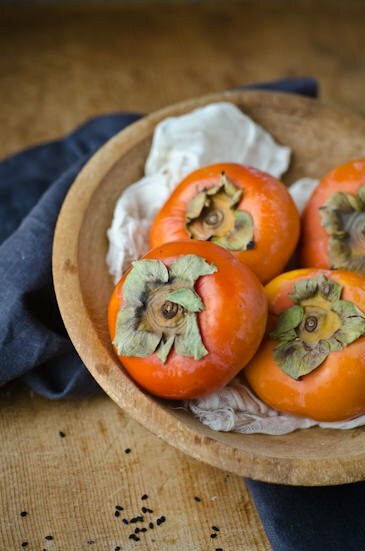 In a large mixing bowl, stir together almond meal, almonds, persimmons, baking powder, salt, and sugar. Lightly beat the egg, pour in the cooled brown butter and vanilla and then add the dry ingredients and mix until just combined. Pre-heat the oven to 375 degrees. Shape the dough into 1-inch balls, place on a baking sheet about 1½ inches apart. Press down lightly to flatten a bit. Bake for 9-12 minutes until the edges start to brown. Let cool slightly before serving. 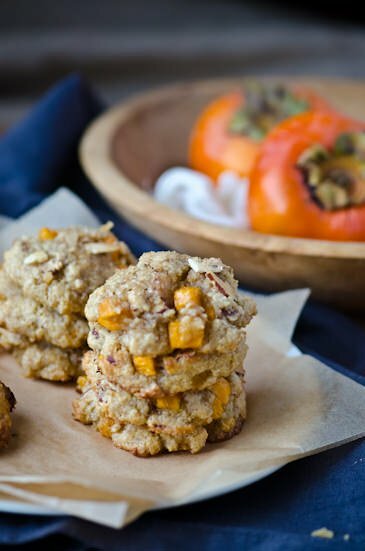 I love persimmons and almond meal and these cookies look so rustic and healthful. Going to check out the recipe now! So happy to have found your blog! I love the look & feel of your blog as well as the photography. It’s so beautiful. Do you take your own shots? Thank you for the kind words. I do take all of my own photography, it’s one of the aspects of blogging that I enjoy the most. I don’t really have any experience and have only been taking photos for a little over a year. I just took a look at your site! It’s lovely! I try to make as much as I can from scratch and love experimenting in the garden and kitchen. 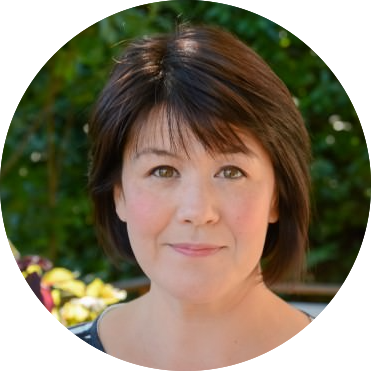 Thanks again for taking the time to read the blog! I don’t see the link anywhere…would love to make this but can’t find the recipe. I realize the original link is dead and I’ve never posted the recipe on my blog. I’ve updated the post to include the recipe. I hope you like them if you try them. I’d love to hear what you think of them! Thanks!